Columbia vs. Georgetown Football game 9/24/16 - Columbia University Club of Washington, D.C. The Columbia Lions travel to Georgetown to take on the Hoyas! 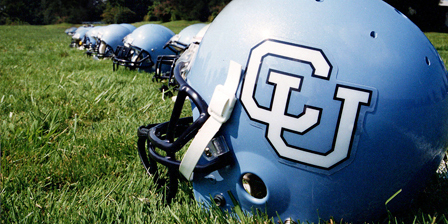 Put on your Columbia Blue and come out to cheer on the Lions before and during the game with a pre-game tailgate at Observatory Grounds, adjacent to Yates Field House, Georgetown University. Refreshments and tailgate fare will be served. Game time is 2 p.m EST. Seats are General Admission: East Section, right behind the Columbia Lions bench!